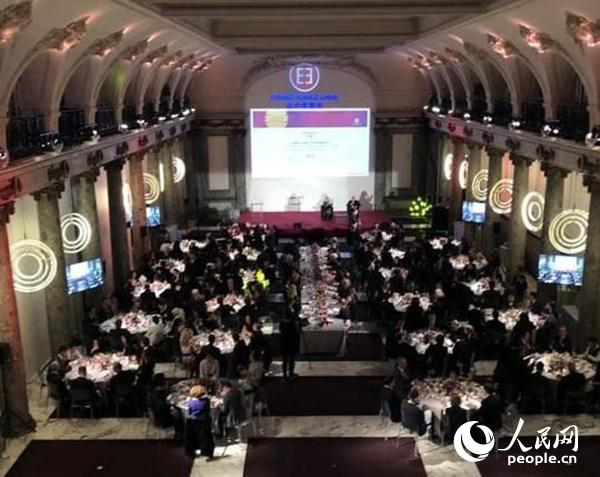 According to People's Network Paris on December 6th, the Fifth China-France Team Cooperation Innovation Award of the French-Chinese Committee was announced in Paris on December 4. In 2018, the jury selected three Chinese and French multinational teams to reward their innovative solutions in environmental protection, transportation, health, industrial applications and smart cities. The Sino-French Teamwork Innovation Awards are divided into three awards, such as the R&D Award, the Innovation Product Award and the Innovation First Award. In particular, in addition to the three major awards, the F2 Initiative Award was also launched. The list of candidates for the Sino-French team that was short-listed in the F2 Innovation Awards was announced. The first prize of this innovative R&D award was awarded to two Chinese and French teams which includes the intelligent charging system jointly developed by French accessory supplier Valeo and Chinese startup XCHARGE, and the superheated dewatering solution based on hydrothermal carbonization of sludge by Suez Water and the municipal drainage management department. The Innovation Product Awards award a product that has a special contribution to public health: the Chinese custom drug sensitive card (BIOMERIEUX). The Innovation First Award was awarded to the French Dream Town/French City Brain Project in Hangzhou. The Innovation Initiative Award F2 project is organized by the French Science and Technology Overseas Center in China which aims to gather a new generation of young talents in science and technology and explore the future development trend of Sino-French science and technology innovation and the direction of cooperation (in Paris and Beijing) to promote innovation and bilateral Cooperation. In 2018, 40 (20 Chinese and 20 French) elites under the age of 40 were selected for exchanges and discussions. 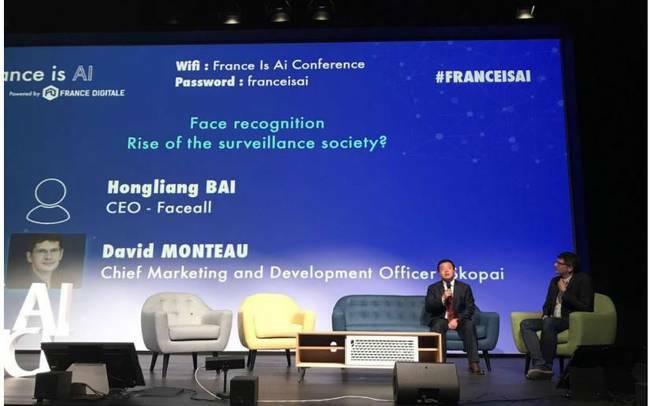 Bai Hongliang, founder and CEO of Beijing FaceAll Technology, was shortlisted for the final of the French-Chinese Cooperation Innovation Award F2 project of the French-Chinese Committee. At the same time, the finalists of the Chinese team were also the CEO of Aitian Education Technology, the French RIEIA researcher Shi Miaojing, the vice president of the Innovation Workshop Artificial Intelligence Engineering Institute Wu Zhuohao, and the French team candidate HOMMANO R&D Director Amélie Cordier, SALESFORCE Product Manager Thierry Donneau- Golencer, CEO of DREAMQUARK Nicolas Meric, Director of R&D, XBRAIN, Grégory Renard. The artificial intelligence projects that entered the finalists involved educational speech recognition and adaptive language learning techniques, customer relationship management, image processing and understanding, insurance and medical data. The final result of the F2 project award will be announced after the Beijing seminar in 2019. The Chinese and French teams will each receive an elite representative in the field of artificial intelligence. 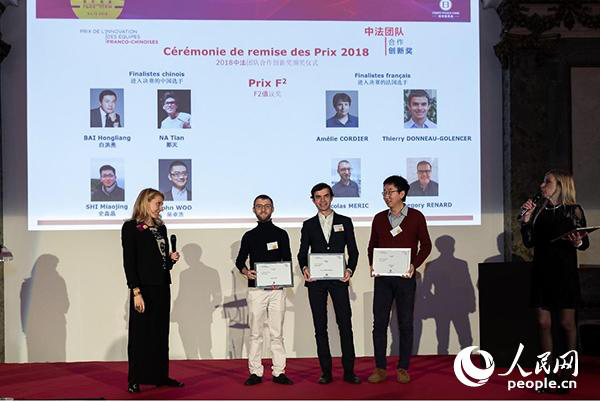 Chinese and French team representatives in the finals of the F2 Project of the Innovation Award are awarded the certificate of entrance. Bai Hongliang, CEO of Beijing Faceall Science and Technology Co-operation and Innovation Award, was selected as the final certificate of F2 project of China-France Cooperation and Innovation Award. The final results of the F2 project award will be announced at the end of the Beijing Symposium in 2019. The Chinese and French teams will each have an elite representative in the field of artificial intelligence to win the award. The youth science and technology talents in the field of Chinese and French artificial intelligence in the F2 project gathered in Paris at the end of October 2018 to discuss innovation & entrepreneurship and explore the future development trend and cooperation direction of Sino-French scientific and technological innovation. During the visit, they visited the French Institute of Advanced Science (IHES), which has been sponsored by the Institute in 1958. Among the ten tenth-day professors in mathematics, there are seven Fields winners. They participated in the third "France is AI" artificial intelligence conference in Paris, with corporate executives, investors, entrepreneurs and researchers in the field of artificial intelligence from France, the United States, Canada, the United Kingdom, Switzerland, Finland and other countries. The staff and others conducted a two-day discussion and exchange. Seven representatives of the F2 project from the Chinese and French teams also made keynote speeches and interviews with the guests. The following picture shows Hongliang Bai, CEO of FaceAll interviewed at the Artificial Intelligence Conference on the company's founding development, technological advantages and product development. Founded in May 2015, Beijing FaceAll Co. which is a high-tech enterprise focuses on technological innovation and independent research and development, and applies machine learning, especially deep learning research results to face recognition, image recognition, video content recognition, etc. FaceAll is perfecting the product layout from face recognition, image recognition to industrial vision. The next step is to make new breakthroughs and developments in the segmentation of face and image processing and the blue ocean market. In addition, the CEO of Aitian Education, who participated in the F2 project China team, and the French RIEIA researcher Shi Miaojing also received expert interviews on China's rapidly developing artificial intelligence ecosystem at the artificial intelligence conference. This Sino-French teamwork innovation award was promoted by former French Prime Minister Raffarin, French mathematician and 2010 Fields Prize winner Cedric Villani, and was supported by the French Ministry of Economics and Finance, the French Ministry of Higher Education Research and Innovation and the French Chamber of Commerce and Industry in France. ©2015-2019 Faceall. All Rights Reserved. Beijing FaceAll Co.